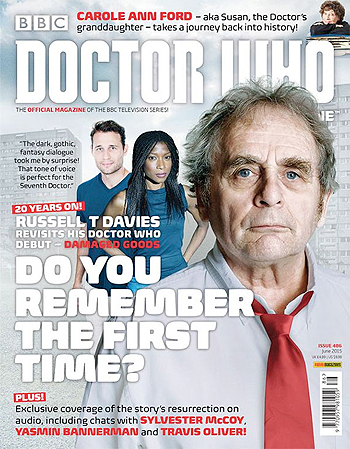 This issue boasts an exclusive interview with Russell T Davies. The former showrunner has revisited his first ever Doctor Who contribution, the 1996 novel Damaged Goods, to coincide with May's release of Big Finish's audio adaptation starring Sylvester McCoy as the Seventh Doctor and Travis Oliver and Yasmin Bannerman as his companions, Chris and Roz. Also inside the issue, Caroline Ann Ford contributes a journey back into history.